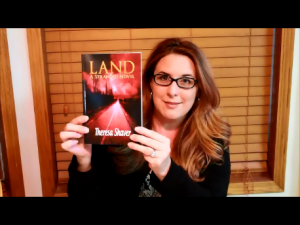 As an avid reader, I used to dream about writing and sharing my own stories with the world. Publishing was a far off and intimidating goal until Amazon opened the gates! I love that I get real feed back from my fans on my books instead of some guy behind a desk who studies market trends. I write to share my dreams with the world and now I can. My first series is a Young Adult Post-apocalypse story. I love writing about the growth of characters faced with such huge challenges and plan to continue future stories in wrecked worlds. It’s a new do it yourself world in so many industries so never stop believing in your dreams and do it yourself! As an avid reader I would gobble up books so fast that I would be waiting FOREVER for the next in the series. And waiting, and waiting, and waiting! I had to do something with all that waiting so I started making up my own stories in my head and then I started writing them down and VOILA! a book is born. I love writing about wrecked worlds where people are forced to dig deep to survive. I don’t outline at all. I cascade write and don’t ever go back and reread or edit until it’s done. Then it hurts to clean up all the mistakes but that’s my style. I have a story to tell and stopping to go and fix commas or mistakes pulls me from the flow of the story so it can all wait! I go soooo deep sometimes. I have one character that flows so naturally for me that when she’s mad I end up pounding the words on my keyboard. I once had a chapter that I bawled all the way through as I wrote it because it hurt so much. Another time I was so deep in the story that my hands flew off the keyboard in shock when one of my main characters died. I had no plans for that to happen but the story was telling it’s self and then I pouted for an hour but decided it had to be that way. If you truly feel the story, you will FEEL it and it will just flow! Just keep telling your story. Marketing and promotion is a must but it can’t be your main focus. If you want to sell more book, then write more books! Be objective when you get bad reviews…and you will. Take what they say and use it to be a better writer and then toss the negativity out the window. Amanda Hocking. She was my inspiration to self publish. I read an article about this girl who wrote a bunch of books and kept getting rejected by the big NY publishers. She finally said screw it and self-published. Over a million sales later, guess who came knocking at her door asking to publish her? Now I’m sooo thankful I never tried for NY. I get paid way more than they would pay me and I control EVERYTHING from the price of the book to how many a year I want to publish. Best decision I have ever made! I think it is evolving so fast. A few years ago writers and readers where at the mercy and control of the big NY 5 but self publishing kicked those gates down and opened up a huge world for both. I think that more and more authors will self publish and with all the amazing author services out there for cover design and editing it will just get bigger and bigger as NY gets a smaller potion of the market.